Today is our last day for collecting signatures. We are currently hovering around 8,700 signatures, we still hope to hit 10,000 signatures so please help spread the word! We want to thank everyone that has come out to support the petition to restore the Ecto-1A thus far. Nearly 5000 signatures in less than a week has been more than we were expecting! Signing and sharing with your friends is the best thing for everyone to do. With that being said, we also want to correct some false information floating around by various news outlets. It seems there are a lot of people labeling this effort as a scam. We believe most people claiming this do not understand that this is the ECTO-1A from Ghostbusters 2, and not the Ecto-1 from the first film. 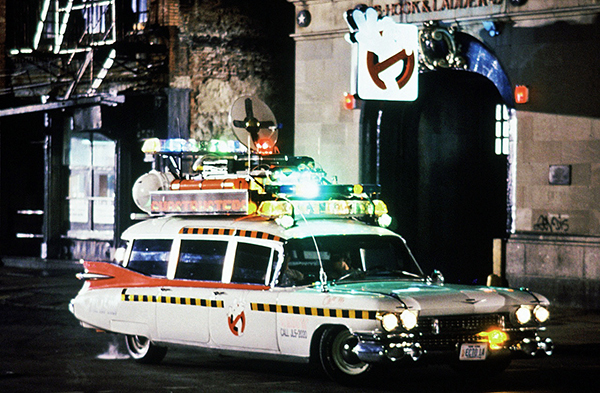 The Ecto-1 from the original Ghostbusters has in fact been restored. 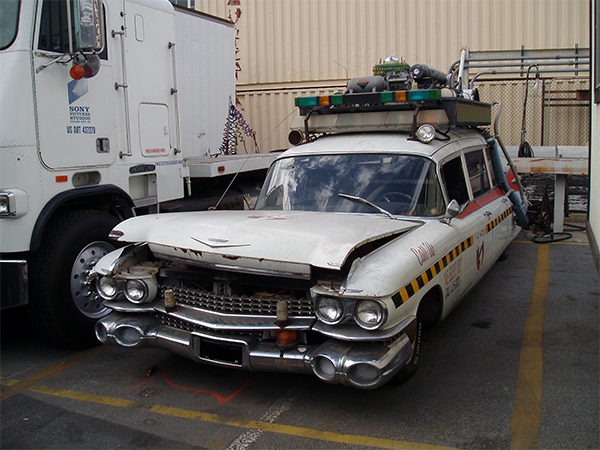 We have hundreds of photos available of the restored Ecto-1 on our website here. The car we have pictured is in fact, the original Ecto-1A from Ghostbusters 2. Please view the photo gallery at the bottom of this page to see how it has progressed over the years, and make sure you read the whole page for information. Secondly, we have noted a disturbing trend with news agencies reporting on this piece about the cost of the restoration. We have never published a figure for the restoration, we do know approximately how much it will cost to get it done. A few news articles incorrectly referenced the line from Ghostbusters where in Ray Stantz buys the original car for "$4800". Further news sites have reported that number as the "estimated cost for the restoration" and others have actually reported a lower number. That number is very far away from the actual estimate and is not accurate at all. We would not be able to come up with a definitive number unless the car was in our possession. Lastly, we have heard some reports of people actually going down to Sony Pictures to attempt to purchase the car, or look at the car, or even steal the car. This is not good at all, and does not help this restoration effort one bit. The car as it currently sits is not for sale, hence this petition. Sony has fortunately chosen to protect the car and as of today it is stored inside away from people who would rather see more harm caused to it than be helpful. We appreciate the support we have received thus far and hope we can keep it going. Our goal is 10,000 signatures. In 2007, a restoration project was started on both the original Ecto-1 from Ghostbusters and the Ecto-1A from Ghostbusters II by Sony Pictures under the execution of then Sony executive, Keith Hargrove. The restoration of the Ecto-1 was completed first and restoration of the Ecto-1A was to begin soon after. The Ecto-1A was completely stripped down, and ready for restoration when the funding for the project was cut due to a tight budget. 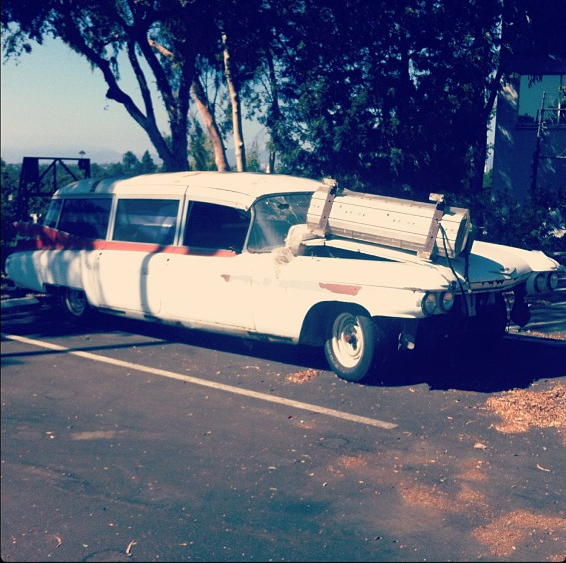 5 years later, the original Ecto-1A from Ghostbusters II now sits on the backlot at Sony in dire need of restoration. Photo by Instagram user "cheekybama" taken October 8, 2013 at Sony's Prop Warehouse. Windshield smashed, hood crumpled, original light bar on the hood. Ghostbusters Fans would like to ask Sony Pictures to sell us the 1959 Cadillac used for the Ecto-1A (along with all original "Ecto" parts) at the current scrap value. With the car in our hands, we would then be able to give her the restoration to screen used quality that she deserves. We have started this campaign to garner names in support by those who would like to see the restoration occur. We need to have the full support of everyone in the Ghostbusters Community behind us, this will be crucial in order for us to fund a proper and complete restoration of the Ecto-1A back to the condition she was seen on the silver screen in 1989. Sign this petition if you would like to see the Ecto-1A restored, and let us know if you would be willing to donate to the project. Let's show Sony Pictures how serious we are, and that we have what it would take to get it done! Please use your legal First and Last name, if you don't want to provide that information, please use your initials. City and State, or Country. Would you donate money to the restoration? If so, how much? (If not, leave blank). By submitting, you agree to the Terms. We currently have 12094 signatures in our database. Ecto-1A in 1989 during the production of Ghostbusters II. 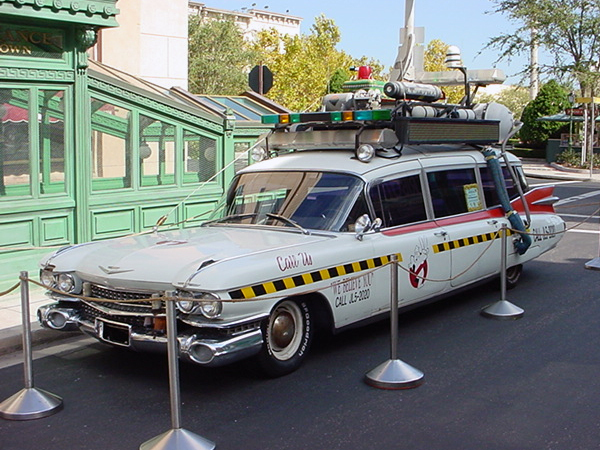 Ecto-1A on display at Universal Studio Florida. It was kept here for several years and was not maintained properly. Visitors opened doors, climbed inside, removed 'souvenirs' and left it in horrible shape. Windshield smashed while on display. Photo source unknown. Photo by Flickr user Tony Castillo taken October 1, 2005. This is how the Ecto-1A left Universal Studios Florida. Photo by 'Star Car Detective' on ProtonCharging's Flickr taken July 27, 2007. At restoration shop. Photo by 'Star Car Detective' on ProtonCharging's Flickr taken July 27, 2007. At restoration shop, insides crammed with parts already removed. Q: Wasn't the car restored already? I saw it on the Blu-ray. A: That was the Ecto-1 from the first Ghostbusters film. This is the Ecto-1A from Ghostbusters II. Please read the first few paragraphs of the page for more information, we explain the restoration that occurred in 2007 and why the Ecto-1A wasn't restored. Q: I thought they were owned by Dan Aykroyd. Didn't he restore them? A: Both cars are currently owned by Sony Pictures. Dan Aykroyd also had no hand in restoring either one, he did appear in the Ecto-1 restoration featurette alongside the original Ecto-1 after it was restored as part of the unveiling. A: No. 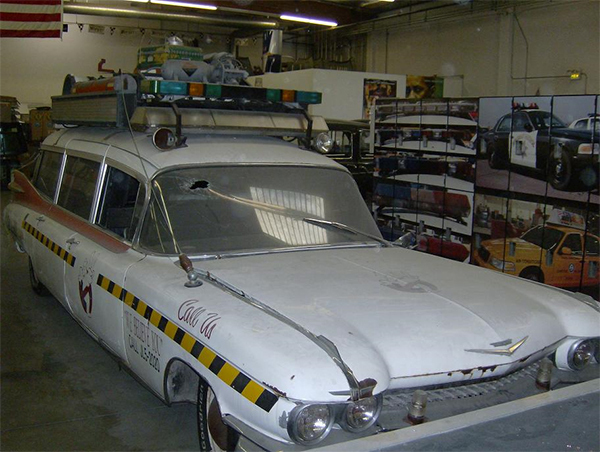 The Ecto-1A isn't actually for sale. It is more likely to be sent to a scrap yard before it is sold, hence the reason for this petition. Your signature will help secure the Ecto-1A 's future by putting it into the hands of the Ghostbusters Community to have a collaborative restoration project. If allowed to purchase the Ecto-1A , we would begin researching our restoration options and will work closely with the shop that did the disassembly and the restoration on the Ecto-1. 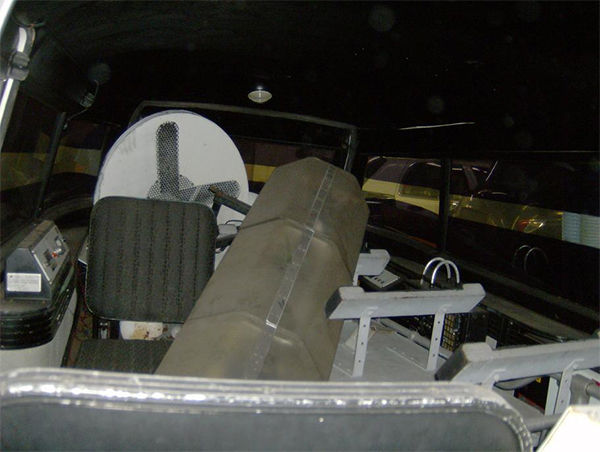 We will work to generate quotes for complete restorations with shops that specialize in the 59 Cadillac's and specialty ambulances and hearses. Once a firm idea on the budget of the restoration project is developed, we will utilize funding sites such as Kickstarter to get the project off the ground. During the restoration, a detailed build blog would be kept, and thousands of photographs would be taken to document each step. (Perhaps even with a short video documentary about the restoration). All supporters would be rewarded weekly / bi-weekly with a wealth of information, updates and possibly even mementos from the restoration. Post restoration, we would plan for a small tour of the United States, making appearances at San Diego Comic Con, Denver Comic Con, Dragon*Con, NY Comic Con and others. The Ecto-1A would also make appearances at car shows across the country, with the ability for it to tour with a national show. Eventually we envision it being on display at an auto museum, or on display at the Sony Lot with the Ecto-1 (with proper protection of course! ).